A great way to get some green in your life is by greening up your home. 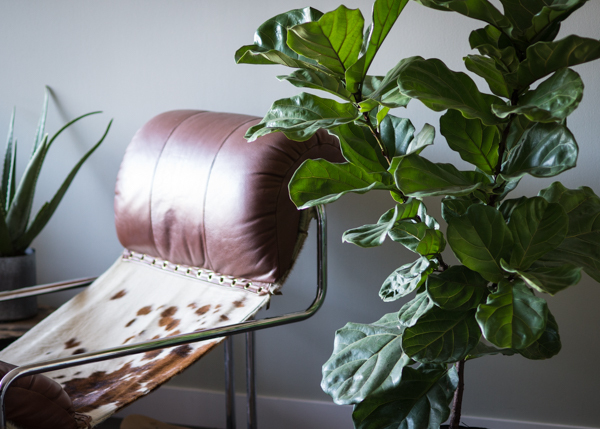 Plants add life to a space and help purify your air, and caring for them and tuning into their magic can be incredibly therapeutic. I don’t know about you guys, but watching an aloe produce new pups or propagating a new plant is pretty damn cool. Here are some of my favourite plants that work wonderfully indoors and some of the awesome things they do for the home … and the soul. Light: Give this baby plenty of indirect light – too much direct sunlight will give this spikey baby a sunburn. Water: This plant thrives on very little water. Give it a good water every 2-3 weeks. Better to err on the side of less for this pup. Benefits: This wonderful plant is a great air purifier, is super low maintenance, and its flesh does wonders for soothing/healing skin. Light: Lots! 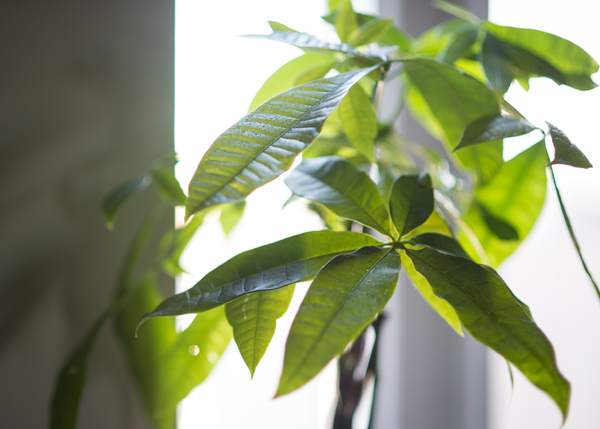 This gorgeous, leafy tree needs plenty of sun, so it works great by a big window. The big leafs like to collect dusk, so make sure to wipe down the leaves with a damp cloth weekly to maximize its sun intake. Water: This guy will need a good watering when the top inch or so of the soil is dry, but it will change depending on the season. I find that my baby likes a good watering 1-2 times per week. I also give her a daily misting, to keep her leaves happy and healthy. Benefits: These fig trees offer up immense beauty with their big, beautiful leaves and can grow upwards of 6 feet tall. They completely transform a room – I like to think of them as living sculptures. With the right conditions, this plant will thrive, grow, and transform your home into a baby jungle. Light: Moderate to low. 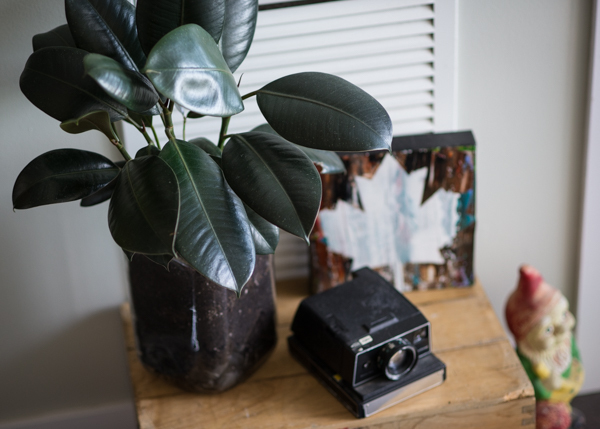 This plant works well in corners that don’t get a ton of light – just make sure you dust the leaves weekly so your baby can absorb all the light that dark corner has to offer! Water: This guy thrives on neglect, so don’t fret too much about water. I generally give mine a good water every 7-10 days and give it a misting 1-2 times a week. 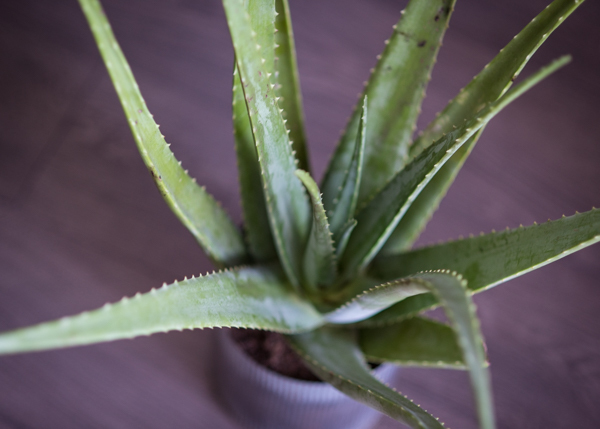 Benefits: This beautiful plant is great for people that are new to plants because they are so low-maintenance and thrive in nearly any environment. They are also wonderful air purifiers and grow in to large plants that are full of character. Light: Moderate. This little herb is super hardy and can do well with moderate, low, or high light. Get creative and see where it does best. Water: Depending on the size of the plant, it generally likes a water 1-2 times per week. Be careful not to over saturate – it’s better to err on the side of under-watering for this hearty guy. Benefits: This little plant grows like crazy. Under proper conditions, it can grow up to an inch a week! Other than its go-go gadget growing speed, it is wonderfully aromatic and is a tasty addition to any meal. Pinch away with this baby, because it will grow new shoots within days. Light: Indirect light does these little weirdos well. They generally grow on the trunks of trees, so you generally want to shy away from too much direct light. Water: Contrary to popular belief, these guys don’t survive on air alone. They need a good plunge in water every 2-3 weeks and like a nice misting 1-2 times per week depending on the humidity in the air. Benefits: These little guys are quite low-maintenance and have a ton of character. 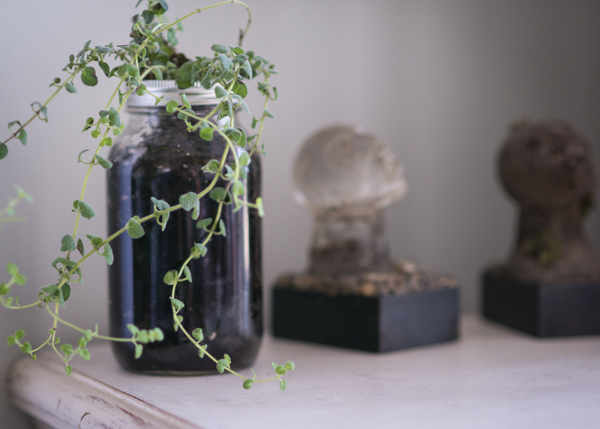 Because they don’t need to be potted in soil, you can mount them almost anywhere – hang them in pods, mount them to some beautiful wood, or find a little rock to nestle them in. 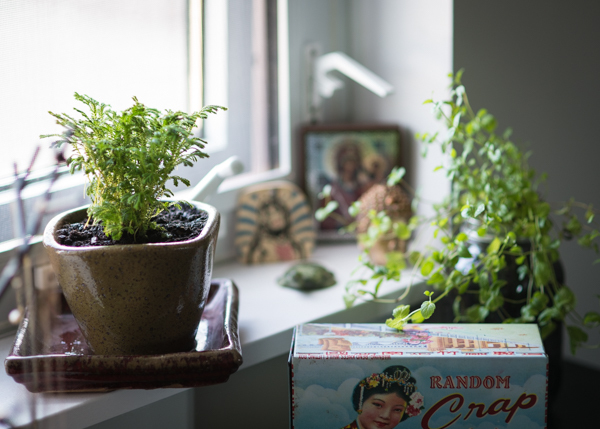 Starting to green up your space can be a bit intimidating at first, but the best way to start is to find some low-maintenance leaf babies, do a little reading on how to care for them, and a lot of trial and error! 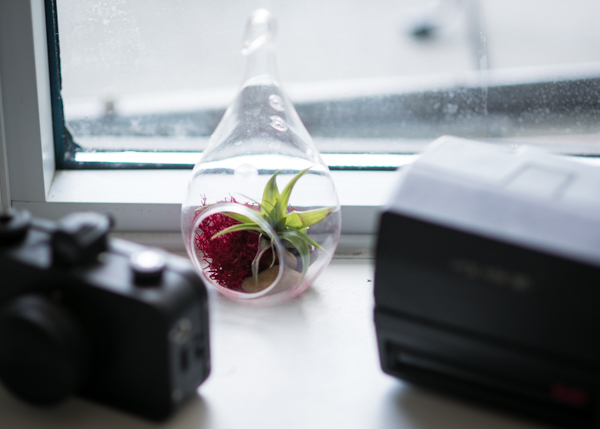 When you see your babies thriving, it is pretty damn rewarding – or at least it is for a crazy plant lady like me.